Mimicking school teachers used to be one of the favourite pastimes of our childhood. It was a game which could be played either in a group or alone. In a group, one gets to be the teacher, while the rest oblige. The role reverses from time to time for the best interests of the group. If one is alone, s/he gets to be the teacher and everything else, including inanimate objects, can be the students. If this sounds like your childhood too, then this video is for you. In the background of a snowy mound, a girl — a school girl, as described by the handle that shared the video on Twitter — is apparently live-reporting the snow situation in Shopian, south Kashmir. A marble stick is her mic. Holding that in front of her, she starts her ‘piece-to-camera’ with the right energy in her voice. 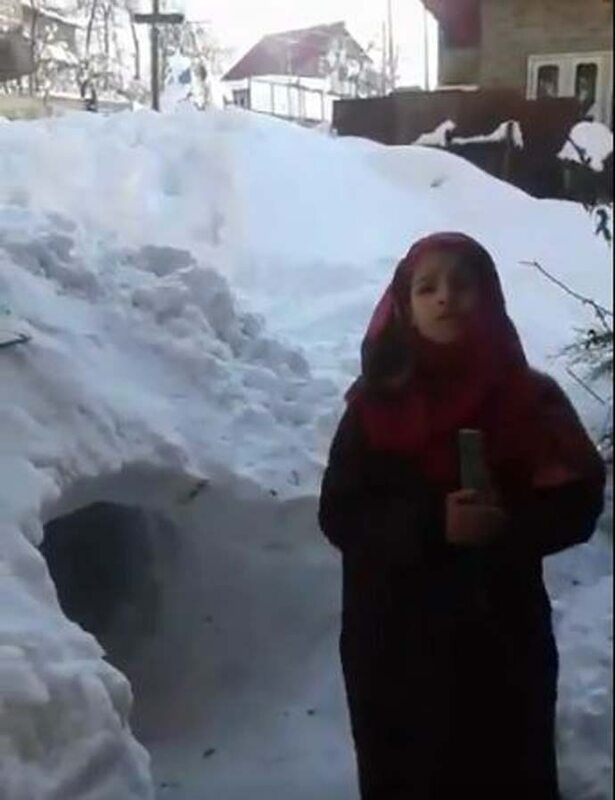 It is snowing in Shopian and some kids have apparently built a 'secret tunnel' inside the snow mound. Their parents are absolutely in the dark about their mischief — while this brave ‘journalist’ is out on a mission to report this feat on television. The video has gone viral, and for the right reasons. We have seen so much of the strife-torn face of Kashmir — a Kashmir which is on fire, which faces shutdowns almost every other day. This video, too, touches upon the hardships the Kashmiris are facing now owing to heavy snowfall. But there is so much life in it — in the exuberance of the little girl who knows that the thing she is holding is just a piece of a stone, and not a mic, but that does not take away the charm from it. We are sure the kids hiding inside the secret tunnel were actually feeling frozen, but their giggles force us to not see the ice, but to feel the thaw as they laugh away all the hardships. Also, a school girl mimicking a journalist! How gratifying is that to the journalist fraternity!